In 1984 Commodore International was king of the home computer market. 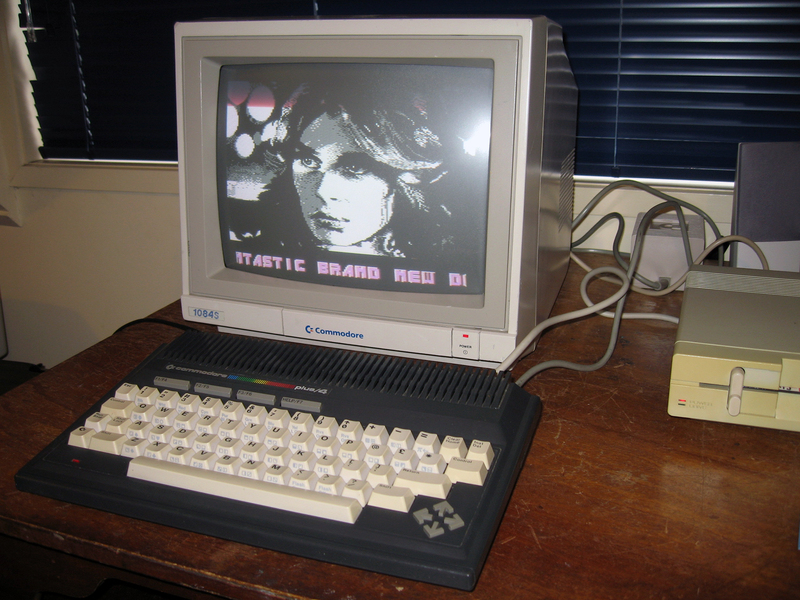 Although sales of their flagship machine, the venerable C64, were very healthy the model had been around since 1982 and the older Vic 20 since 1980. Commodore felt the urge to freshen its offerings. The result was a serious misstep! Through the doors came two machines, the Commodore 16 (seen opposite) and the Commodore Plus/4 (seen in the photo below). The C16 (and a Europe-only rubber keyboard derivitive, the C116) came with 16k of RAM, the Plus/4 with 64k. Furthermore, productivity software (a word processor, database manager and spreadsheet) was built into Plus/4's ROM. These newcomers were based on a couple of new MOS chips...a 6502 compatible 8501 CPU and TED. Essentially TED was an all-in-one sound, video and input/output chip. Using these more advanced chips made the models cheaper to produce than the previous ones, an attribute which always found favour at Commodore International. Some features were advancements. The BASIC was way superior to previous Commodore offerings. Both machines had faster processors. They had more colours and interfaces worked quicker. However, other elements took a backward step. Although both models were designed for the home market where game-playing was inevitable, they lacked sprites and the TED sound was inferior to that of the SID sound chip which made the C64 such a hit. Neither machine was compatible with existing C64 or VIC 20 software. Older disk drives could be used with the new machines but existing C64/Vic 20 joysticks, cassette recorders and some other hardware plug-ins could not be. The C16's 16K RAM was pathetic for 1984 and the Plus/4's productivity suite was lame. 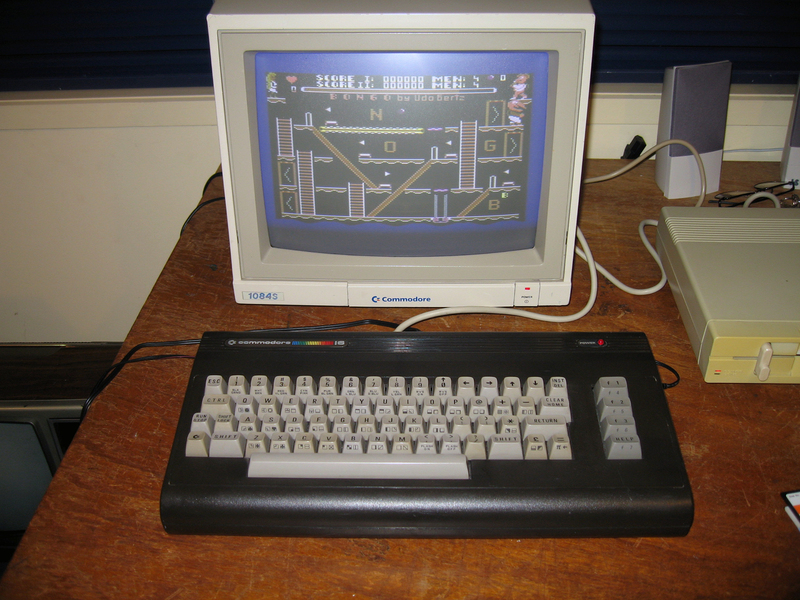 It turned out new buyers in this segment of the market preferred the tried and true C64 with its sea of software over either of these TED units. What ensued then was a case of Commodore competing with itself. There was something else too. Consumers, especially in the U.S., had grown weary of the cheap and cheerful home computers which could play video games and little else. They were looking for something more substantial in new releases. The Plus/4 was aimed at the serious/professional user but the computer itself had a cheap look and feel. Also the fact the productivity suite was embedded deterred software houses from writing better offerings. These factors meant sales of the C16 and Plus/4 in the U.S. tanked. The two computers fared better in Europe and although never getting close to the heady sales of the C64 and Sinclair Spectrum in that part of the world, they did attract a small but loyal following. The two machines came to me as a gift from a fellow collector. As you can see, both are in good cosmetic condition and both (now) work. A power supply unit had to be found for the C16, and I changed the Plus/4's power socket so it would take a standard C64 PSU. I also replaced the keyboard on the Plus/4 as the thin ribbion connector had perished. Software has been collected from the Internet and written to disk and I also have the option of using the SD2ICE disk drive emulator with both machines. Although I find it hard to warm to the mushy keyboard of the Plus/4 I do love the charcoal livery of the C16. The C16 and Plus/4 are NOT classic computers by any stretch of the imagination, but they are part of the history of 1980's home computers and of Commodore International. That alone makes them worth owning.